Don't forget to take advantage of the exclusive show discounts and offers in the centre of this show guide! Alliance will be offering certified training at the show, courtesy of Blustream's team of experts, which you can register for here: www.eiliveshow. com/hdbaset-training EI Live! 2019 has become the most important event in the calendar for the UK AV & automation industry, and as such is home to some exclusive launches. 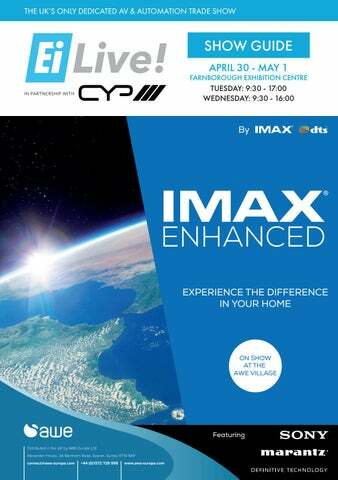 That includes the European trade show debut of IMAX Enhanced, which will be available for the first time in the AWE Village. Additionally, those looking for the latest in home cinema technology will find demonstrations in the Pulse Cinemas and Epson sound booths, as well a truck full of the latest products from Barco. Those seeking the latest products for their next project will welcome the exclusive deals that will be available at this year’s show. Several exhibitors are offering money off their products and services, exclusively for those visiting EI Live! 2019. The discounts on offer at the show can be seen the centre of this show guide. We’ve also got the Smart Building Awards, which will be presented at a gala dinner on the evening after the first day, awarding the best and brightest in the AV & automation industry, and it’s set to be a terrific evening. As ever, I welcome any feedback, comments or suggestions for the show; this is your industry and your opportunity to make it a truly tailored trip. Be sure to get in touch on the day and say hello, I look forward to seeing you all at Farnborough International Exhibition and Conference Centre on April 30 - May 1. David Kitchener Event Director, EI Live! RAKO LIGHTING CONTROLS MAKING THE SMART HOME DREAM A REALITY. Designers and installers can specify projects with confidence knowing that Rako can control all light sources including smooth dimming of LEDs. System integration is easily achievable, linking lighting to audio-visual, security systems and curtain and blind control. Rakoâ&#x20AC;&#x2122;s scope of projects is far reaching, from hotels and spas to churches, residential and luxury MDU developments. With users enjoying the ability to recall a scene, or mood of lighting at the touch of a button, a swipe of a smartphone or by voice command. Designed and manufactured in the UK, Rako offers an unparalleled range of products backed by a project planning and support service that is second to none. Become a Certified HDBaseT Installer at EI Live! On-demand streaming services now account for more than 50% of our total audio consumption and provide a great opportunity for installers to significantly improve the experience for their customers whilst increasing profitability. Get more out of your visit to EI Live! this year by completing the Certified HDBaseT Installer Expert Training. Presented by the HDBaseT approved training team at Blustream, the 1.5 hour course provides a detailed introduction to HDBaseT technology and best practices for installation. Attendees will specifically learn about the science behind HDBaseT, the elements of 5-Play integration and recommended installation guidelines. Once completed, all attendees will receive a personal certificate, official HDBaseT installer digital logo, certified HDBaseT installer T-Shirt and AVIXA development points. 11:45 - 12:30 Future-Proof Your System Iain Gordon, President, KNX UK As the first generation of smart buildings reach an age where users want to make changes and add new functionality, they are discovering how expensive it can be if you donâ&#x20AC;&#x2122;t plan for the future from the outset. Iain Gordon, President of KNX UK, will talk about what makes a system future-proof. 12:45 - 13:30 IMAX Panel Discussion Panelists: AWE, IMAX, Sony, Sound United Our panel discussion will include representatives from IMAX, Sony, Sounds United and AWE. As an industry we should embrace how consumers choose to listen to music and move away from the more rigid, inflexible methods and set ups. Weâ&#x20AC;&#x2122;ll look at the size and shape of the market space and investigate common service providers and the options to integrate these services into multi-room systems. Smart Homes - The Domestic Sector Luke Osborne, ECA Luke will focus on market trends, ecosystems- the technologies and application, structured cabling, IoT, analytics, AI, PoE, 5G, opportunities, Standards, Codes of Practice, Education and Training. Audio Tips To Master An Installation Wayne Hyde, Technical Mgr, CAVD Wayne Hyde, Technical Manager at Custom AV Distribution, will be sharing audio tips. This interactive Q&A-style session will suit both veterans and engineers that are new to the industry. The idea behind the session is to address some of the common audio mistakes seen in residential CI - from the most basic installations through to high-end projects. Wayne says it can be surprising what slips through the net, so they are keen to share tips to help installers avoid mistakes and deliver a better sound. Our panel discussion will include representatives from IMAX, Sony, Sounds United and AWE. 11:45 - 12:45 Introduction To Commercial AV Justin Martin-Lawrence, Technical Mgr, Habitech Through an introduction to Habitech’s latest training innovation, created especially for the EI Live! audience, Technical Manager Justin Martin-Lawrence will illuminate the nature and challenges of the commercial installation workplace, and explain how residential skills can be integrated with the knowledge of pro system product and design for the very best results. Over 60 minutes, Justin offers an overview of the ’Introduction to Commercial AV’ course, explaining the differences between residential and commercial AV systems, their contrasting electrical requirements and configurations. 14:00 - 14:45 High-Quality Music Streaming Enno Vandermeer, Founder, Roon Labs Enno Vandermeer, CEO/Founder of Roon Labs, will be giving a presentation at the show, highlighting to the custom installers and manufacturers present the strengths of his software, Roon. 15:00 - 15:45 Rack Building 101 Nick Pidgeon, Director, Visualization After being involved with the AVIXA Rack Building standard, which was published last year, the Rack Design standard was the next calling, and Nick is heavily involved with the on-going creation of this. That’s why it’s the perfect time to give visitors to EI Live! 2019 the inside scoop on the new standard. There will be a Q&A in this session, and Nick will also be offering a further Q&A on the Visualization stand for attendees to extend the conversation and ask any questions that may have arisen from the presentation. ALL OUR TECHNICAL THEATRE SESSIONS ARE FREE, SO BE SURE TO TAKE ADVANTAGE. AWE SHOWCASES EXCLUSIVE DEMO OF IMAX® ENHANCED AT ESSENTIAL INSTALL LIVE! AWE is delivering the first IMAX Enhanced demo at an EU exhibition. Visitors to EI Live! have a not-to-be-missed opportunity to experience how IMAX Enhanced can bring the world’s most immersive entertainment into a home environment. IMAX Enhanced, a partnership between IMAX Corporation and audio leader DTS, combines the highest-end consumer electronics products with IMAX digitally re-mastered 4K HDR content and DTS audio technologies, to offer consumers a new level of quality in immersive sight and sound experiences for the home. This exclusive demo is a key attraction at EI Live!, presented in a purpose-built theatre within the AWE Village. AWE is using its strong brand partnerships by utilising IMAX Enhanced certified products from Sony, Denon, and Marantz. Definitive Technology loudspeakers and subwoofers are also featured to ensure the experience is of the highest possible standard. “When we previewed IMAX Enhanced content and audio products at the AWE Expo in October last year, attendees were blown away by the experience,” comments Stuart Tickle, Managing Director of AWE. “We received comments such as ‘Seeing the IMAX Enhanced demo, you realise that this is a lot more than just a name. It actually changes the way you watch films!’ The IMAX Enhanced home theatre at Essential Install Live! builds on the preview that visitors enjoyed at AWE Expo, featuring an IMAX Enhanced certified, native 4k laser projector from Sony. We look forward to welcoming integrators through the demonstration.” “We are encouraged by the initial response to the IMAX Enhanced program in Europe and are excited for EI Live! visitors to experience it in more detail at the AWE booth,” said Gabriel Cosgrave, Xperi general manager, Europe. - Signature IMAX multi-channel audio mix by DTS with video delivered to IMAX Enhanced devices in 4K HDR - Unique and exclusive IMAX titles, as the filmmaker intended them to be seen Representatives from AWE, DTS, and the brands that offer IMAX Enhanced products are available to answer any questions integrators have over the duration of the event. For more information on AWE, visit www.awe-europe.com, email sales@ awe-europe.com or call 01372 729 995. For more information on the IMAX Enhanced program please visit www.IMAXenhanced.com. TOTAL E-KLIPSCH Indigo Distribution has partnered with awardwinning Klipsch, ‘The Keepers of the Sound’, bringing the global leading speaker giant to the UK custom installation and commercial channels in the UK and Ireland. Klipsch’s history speaks for itself. The worldrenowned brand has been providing custom installers with qualitatively outstanding speakers for decades and is trusted by integrators and end-users alike. Klipsch’s impeccable reputation is already well-established in the UK, and will now be further developed through Indigo, with the Custom Install and Commercial ranges now being exclusively supplied by the distributor. With an eye set firmly on audio excellence within the custom installation channel, Klipsch is rewriting the rule book when it comes to feature-loaded products. The Premier Reference Professional Series of loudspeakers, for example, offers three levels of products. These include innovative patented technologies such as SecureFit - a twopart system that provides simple installation while reducing overall speaker baffle vibration by 45% - or the revolutionary SkyHook, a quick installation feature found on the Designer and Customer Series, that enables you to install the speaker with one simple push and click using no tools, saving you up to 75% on the installation time. The inceiling speaker range is also conveniently supplied with both round and square magnetic grilles and comes with limited lifetime warranty. IP200UHD-TX/RX Multicast UHD from Blustream delivers virtually latency free distribution of HDMI video over a 1GB Network switch. Using visually lossless compression technology, Multicast delivers HDMI, IR, RS-232, USB / KVM, and CEC up to lengths of 100m over a single CAT cable. The beauty of Multicast is its flexibility and ease of installation. The industry has been requesting a video over IP solution that can be installed in minutes and without the need for any networking qualifications. Multicast UHD has been developed in line with these objectives and is now ready to deliver a new era in advanced video distribution. as supplied at the source. Scaling is also offered on all the outputs, with independent EDID based output scaling for automatic compatibility with 4K/4KHDR and older 1080p TVs. Audio is also given lots of attention as the MA421 can support the passthrough of HD audio formats including LPCM 2/5.1/7.1CH, Dolby Digital 2/5.1CH, Dolby Digital Plus, Dolby TrueHD, Dolby Atmos and DTS-X/HD Master Audio. The built-in 20W stereo amplifier and mirrored 3.5mm stereo line output can be assigned to any of the outputs, allowing the user the flexibility to improve audio performance where needed. The HDMI output also has built in ARC (Audio Return Channel) audio return pathway to pull the audio signal back from the connected TV and utilised by the built-in amplifier and/or line output. The new free CYP Control app included means the user can control any connected TV or source from their mobile device via IR as well as the MA421 itself, including source selection and volume levels. Setup is simple from the MA-421â&#x20AC;&#x2122;s integral WebGui. CYP argues that with a packed feature line-up, the MA421 mini-matrix it a top pick for a multitude of domestic and commercial applications. Another recent release from CYP is the company’s flagship matrix – the PUV-1082-PRO 10 x 10 HDMI HDBaseT matrix with audio matrixing and AVLC technology. This is based on the successful PUV1082-4K22, but offers independent video scaling on all outputs, as well as CYP’s AVLC technology. Available now, the PUV-1082-PRO comes packaged with IR remote control, rackmount ears, detachable handles two IR extender cables, two IR blaster cables and two power supplies. The PUV-1082-PRO supports the transmission of video (resolutions up to 4K UHD 10/12-bit HDR & Dolby Vision, HDCP 2.2, HDMI2.0) and multichannel digital audio from 10 HDMI sources to eight HDBaseT outputs and two independent HDMI2.0 outputs (18Gbps). Despite the 10.2Gbps limitation of HDBaseT technology, the product enables data rates of up to 18Gbps to be transmitted using CYP’s AVLC tech. The transmitter enables 4K UHD sources up-to and including 4K@60Hz (4:4:4 8-bit), as well as 10/12-bit sources with HDR (including Dolby Vision) to be extended to a compatible receiver. The PUV-1082-PRO supports independent video output scaling on all of the HDBaseT and HDMI outputs; particularly useful when transmitting a 4K HDR image from the matrix to a standard 1080p HD display within an AV setup. The product incorporates an independent audio matrix with 14 audio outputs and 10 audio inputs. These outputs and inputs can be used for deembedding HDMI audio to the audio outputs and embedding audio to the HDBaseT and HDMI outputs. The audio CAT connections, along with compatible bi-directional audio modules (PU305BD-RX & PU-305BDA-RX) allow integration with remote sources and remote audio zones. In addition, volume, mute, treble, bass and audio lip sync correction control are available on all direct audio outputs. Optical Audio Return (OAR) Technology allows the optical input on the PUV-1830RX-AVLC receiver to be routed back to the audio matrix. High resolution digital audio formats such as LPCM 7.1CH, Dolby TrueHD, Dolby Digital Plus, Dolby Atmos and DTSHD Master Audio, as well as 3D video content are supported. LAN connectivity provides a 100BaseT network for smart TVs or games consoles in each zone. The matrix has a built-in pattern generator which can be used to verify the video signal on any of its 10 output ports. The Power over HDBaseT (PoH) function provides power to compatible receivers. Control is via manual selection buttons, IR, RS232, Telnet or Web GUI. CYP provides control drivers for all the major control automation. This unit also supports RS232 pass-through to the receivers. The PUV-1082PRO is designed to be used with PUV1830RX-AVLC or PUV-1810RX-AVLC receivers that use the PoH and LAN capabilities of the matrix. You want discreet design and world-class performance? You’ve got it. The Dynaudio Studio series modular LCR speaker system is a unique way to create truly customized left, centre and right speaker channels – and to scale the system to match the room and work around existing wall studs. With technology derived directly from Dynaudio’s legendary home hi-fi and professional studio speakers, our Custom Studio architectural speaker range is engineered to give stellar performance, along with simple tool-free installation. STAND: 34 Aerials & Cable Equipment Ltd distributes brands such as Polk Audio, IC Plus, Qube, Global Invacom, Sanus, B-Tech, Antiference, Blake, Televes, Triax, Vision, Webro and HDAnywhere. Aerials & Cableâ&#x20AC;&#x2122;s HD Media Partnership offers a Sky Q referral scheme, as well as an upgrade commission system. In addition, the company offers Sonos Custom Installer courses. Those completing the course can install the Sonos Amp, in-wall, in-ceiling and outdoor speakers. Courses for HDBaseT, CCTV, and Wi-Fi networking are also available. Visit stand 34 to discuss becoming an HD Media Partner, as well as special show offers. STAND: 74 Come and see Aldous Systems and learn about the latest from 2N, Araknis Networks, AVProEdge, Binary, ELAN, Furman, Fusion Research, Luma, Platinum Tools, Proficient, Pulse Eight, Rako, SpeakerCraft, Visualint and Zektor. Aminaâ&#x20AC;&#x2122;s pioneering approach to invisible loudspeaker technology has enabled it over the last 20 years to create the very best invisible sound solutions available on the market today. Hand assembled in Cambridgeshire its invisible speaker technologies continue to be used around the world in an array of specialist projects, from big name retail, commercial boardrooms, luxury residential, even super yachts. Integration with limited space into a selection of finishes (wood, slate and even concrete), has enabled Amina to be the go-to speaker of choice for designers with highend bespoke finishes without comprising the space or audio experience. Also on display will be the highly acclaimed REL Acoustics subwoofers, Blucube architectural in-ceiling, in-wall and outdoor speakers, and Blucube speaker fire hoods, with their innovative one-size-fits-all, easy installation design. STAND: 70 Antiference will once again be showcasing new products and developments in its product range at this year’s EI Live!. In the Clear Flow range of wireless networking devices there are new ceiling and wall mount access points, plus the core central controller. In the HDMI range there are the new auto scaling splitters which will be on demonstration. These allow a combination of 1080p TVs and 4K TVs to be connected to a single 4K source. For more information and to see the live demos please visit Antiference at stand 70. STAND: 33 Over two decades ago, Aquavision, the originators and world leaders of the waterproof and in-wall television, created its first products. Over the past 20 years it has succeeded to develop not just a product, but a market leading, high quality brand that is well respected throughout the industry. Although copied by many, Aquavision has retained the leading edge in the marketplace with its range of innovative, cutting-edge products; gaining many world's firsts, awards, and blue-chip customers. STAND: 81 Argosy is an international provider of infrastructure solutions to broadcasters and system integrators. Its state-of-the-art copper and fibre assembly, partnerships with world-class manufacturers, and global service capability have helped ensure its customers realise flawless productions for more than 30 years. Argosy evolves with the market to prepare its customers for the latest, like the move to IP, 4K, and intelligent networks that connect, inform, and entertain the world. Thinking AV? Think Argosy. Argosy this year will be joined by Belden, the market leader in cable manufacturing solutions. STAND: 32 ‘Beautiful Sound’ - Artcoustic has been designing groundbreaking, world-class loudspeakers since 1998, constantly pushing the limits of convention and challenging the status quo. Its passion for performance, functionality and design has inspired it to reinvent the conventional loudspeaker with a fresh, modern look. Its roots go back to original Danish loudspeaker design, associated with refined aesthetics and innovative design. After years of combined design and technical development, it has created a loudspeaker, which looks as good as it sounds, without compromising one to the other. Artcoustic's award-winning collection of speakers perform amongst the highest in their class, delivering exceptional efficiency, dynamics and high quality sound. VISIT THE REDLINE STAND AT EI LIVE! FOR MORE INFORMATION AND TO CLAIM YOUR EXCLUSIVE DIsCOUNTS. VISIT THE SINEMAS STAND AT EI LIVE! FOR MORE INFORMATION AND TO CLAIM YOUR EXCLUSIVE SHOW OFFER. VISIT THE TENWAYS STAND AT EI LIVE! FOR MORE INFORMATION AND TO CLAIM YOUR EXCLUSIVE DIsCOUNTS. TERMS & CONDITIONS All vouchers are applied to the value of the order, excluding delivery costs and are subject to our general Terms and Conditions. Unless stated, discounts cannot be combined and only one offer can be applied to any order. Offers can be amended or withdrawn at any time. This voucher has a cash value of 0.0001p. HOW TO CLAIM VISIT THE SINEMAS STAND AT EI LIVE! FOR MORE INFORMATION AND TO CLAIM YOUR EXCLUSIVE SHOW OFFER. TERMS & CONDITIONS Sign up for a Sinemas Annual Membership at the show and receive 1 free Oculus Go Headset Cost is Â£1,500+VAT (Non refundable), Oculus Go comes with standard manufacturers warrantee. Use Code EI2019. Offers can be amended or withdrawn at any time. This voucher has a cash value of 0.0001p. VISIT THE SMART AV DISTRIBUTION STAND AT EI LIVE! FOR MORE INFORMATION AND TO CLAIM YOUR EXCLUSIVE DIsCOUNTS. VISIT THE DESIGNFLOW STAND AT EI LIVE! FOR MORE INFORMATION AND TO CLAIM YOUR EXCLUSIVE SHOW OFFER. SAVE 5% ON ARTISON PRODUCTS VISIT THE RGB STAND AT EI LIVE! FOR MORE INFORMATION AND TO CLAIM YOUR EXCLUSIVE DIsCOUNTS. HOW TO CLAIM VISIT THE DESIGNFLOW STAND AT EI LIVE! FOR MORE INFORMATION AND TO CLAIM YOUR EXCLUSIVE SHOW OFFER. AWE VILLAGE AWE brings the biggest and best AWE village to EI Live! this year to provide integrators with the opportunity to find out more about the latest products from a range of brands. AWE’s experts are on hand in the AWE village to discuss these new technologies and provide live product demonstrations. Screens AWE is showing why it’s the television expert, with the latest screens from LG, Panasonic, Samsung, and Sony on display, as visitors can see the latest technologies from all the major brands. A Sony 100in Crystal LED screen fills a corner of the stand — allowing attendees to see this impressive and immersive display. Videotree is also displaying its design-led screens for outdoor, wet room, and concealed applications. Controls URC Total Control takes centre stage in the controls area, with the new flagship MRX30 Advanced Network System Controller (quad-core processor) and the new MRX-15 Advanced System Controller (dual-core processor). These powerful controllers provide instant two-way communication with the family of Total Control user interfaces and are compatible with third-party devices. The new URC TDC-9100 tabletop touchscreen controller and TKP-9600 in-wall touchscreen are also on display. Featuring a 10in colour screen, built-in camera, microphone, and AV intercom, these products are ideal for door integration, room-to-room, and whole house communication. Solutions from Philips Hue and QMotion are also on display in this area. Epson Demo Room The Epson demo room includes the Epson EH-TW9400 home cinema projector. This affordable projector, with great connectivity and easy set-up, ensures consumers can enjoy the big screen experience and the best looking 4K content. To represent a trueto-life cinema room, the setup also features a Draper projection screen, speakers from KEF, and Marantz amplification. Outside the demo room, Epson is displaying a wider range of its projectors. Elsewhere on the stand, KEF is focusing on its custom install speaker range and the new LSX speakers, while Definitive Technology showcases its range of in-wall and in-ceiling speakers, as well as its freestanding subwoofers. Visitors can also view a selection of Denon and Marantz AV receivers and amplifiers, HEOS speakers, AVRs, soundbar and subwoofer, Sony projectors, Qmotion motorised shades and Kinetik speakers and cables, including the HDBaseT CAT6 CPR Certified cable. STAND: F3 Looking to create WOW experiences that impress, inform and entertain? Want to deliver your content as intended with uncompromised quality? Searching for solutions with reliability, simplicity, serviceability and connectivity? Join Barco's European “Shape it. Show it.” roadshow at EI Live! at stand F3 and see for yourself why Barco should be your partner in crime! STAND: 92 Blustream is the audio visual industryâ&#x20AC;&#x2122;s award-winning option for advanced HDMI distribution. Its products have been designed and engineered by a global team of AV specialists with over 30 years' experience. Research highlighted the market need for an AV distribution brand that could deliver both industry leading performance and most importantly reliability. This has resulted in it developing a range of HDBaseT, Video over IP and HDMI solutions that deliver seamless AV integration within any installation environment. As an official HDBaseT adopter and alliance member, Blustream is firmly positioned at the forefront of this advanced technology. Through integration of the latest pioneering chipsets its engineers have developed the worldâ&#x20AC;&#x2122;s most innovative range of AV distribution products. STAND: 62 Cabcon is a value added distributor focusing on core technologies and services for copper, fibre, power, CCTV and cable management solutions. Its areas of expertise include copper cabling, fibre optic cabling, AC powercords, power distribution, UPS, CCTV, active networking, cable management, 19 inch racks and accessories. Cabcon also offers many types of bespoke cable manufacturing services designed to turn your concept into reality. It holds a comprehensive range of stock from world-leading suppliers, its in-house experts are able to provide full technical support, helping you make the right product choice for your requirements or specific application. STAND: 129 Cablenet will be showing its range of Computer Cables, Copper and Fibre Networking Cables and Power Products. We will also be showing our sister company Connectorco range of AV products including all aspects of Audio/Visual, CCTV and Active Networking. We will also be introducing to the UK for the first time the Tasker range of audio and video cables. STAND: 99 CAI is the Association for Audio Visual Professionals, which has been improving standards, providing customer confidence and educating its members since 1978. Its members are experts in signal distribution, both domestically and commercially. It is delighted to attend EI Live!, and hopes to meet many members/prospective members in order to explain the range of benefits that CAI members can expect. These benefits are both commercial – such as preferential rates from a number of partners and professional - such as industry technical updates, codes of practice and discounted City and Guilds accredited training. STAND: 35 With nearly 3,700 member companies worldwide, CEDIA is the international trade organisation and leading global authority for the home technology industry. Built upon a strong volunteer foundation, CEDIA raises consumer awareness and provides access to industry-leading education, career resources, certification and research. Cinema Build Systems is proud to be showcasing a new range of innovative Fabric Walling Systems, including its Cinema Space Frame system at EI Live! 2019. Cinema Space Frame is an evolution of our great 18mm Fabric Walling Track. It will also be showing a range of its class-leading Fixed Frame Projection Screens. The screens shown are from its Ultimate Screens line of acoustically transparent fixed frame screens, including the new DEEP screen model. Cinema Build Systems look forward to meeting you at the show. Connected Distribution, UK distributors for Russound, Cabasse, Parasound, Pulse Eight, Atlantic Technology, Earthquake Sound, Sanus, Soundcast and Yamaha, will be showcasing a selection of products designed to satisfy installers’ requirements and provide an enriched entertainment experience for end users. Among the many debuts will be Russound’s new MBX series of streamer/amplifiers, and the IC series ceiling speakers, which incorporate the latest advances in material technologies and feature Easygrip™ and Swiftlock™ for effortless installation at the push of a button. New products from Parasound, Cabasse and Soundcast will be unveiled and Connected Distribution will be making a surprise brand announcement. Why are Coordinated the chosen Fire & Security integration partner for over 20 home automation companies? Set up in 2011 purely to cater to the AV market and their high end clients by providing excellence in everything it does. CAVD work closely with its AV partners to introduce high performance, aesthetically pleasing products to UK residential integrators. The brands are ideally suited to projects that demand an immersive AV experience whilst satisfying even the most demanding interior design criteria. Call by booth 86 to speak to Jamie, Claire or Wayne of Custom AV Distribution and ask all about Dynaudio’s Studio CI speaker series. Home Theatre Environment’s cinema acoustics system. Agath’s luxurious mirror TVs; Lode Audio’s ultimate multiroom streaming platform; Datasat’s Dirac-driven elite immersive audio processors; Nakymatone’s easy-to-fit range of invisible loudspeakers; and Audio and Screen Excellence’s outstanding solutions for home cinema. STAND: 75 At EI Live!, CYP will be showing and demonstrating its new range of innovative AV distribution products for system integrators and installers, aimed at commercial/ residential applications and digital signage. Predominantly featuring products that incorporate the company’s AVLC (Adaptive Visually Lossless Compression), which enables 4K HDR 18Gbps video signals to be transmitted via HDBaseT, CYP will be showing its latest flagship HDBaseT matrix – the PUV-1082-PRO. For smaller installations, the MA-421 offers huge potential in a small package, including compatibility with the company’s new Control app. There will be much to see and talk about on the CYP stand, so make sure you visit! STAND: 1 designflow’s matched deposit scheme is back! First launched at ISE earlier this year, the matched deposit scheme means any deposit placed on a design during the show will be matched in the form of a credit note from designflow. This will effectively make all of the prices on designflow’s new price list half price. 2019 also sees the return of free if you win proposals. Free if you win proposals, gives anyone signing up for proposals during the show, the opportunity to have the cost of proposals refunded against the design fee, when a job is converted into a live project. CATCH A DEMO ON STAND 136 THE BEST WAY TO EXPERIENCE ROON. AT ANY PRICE. Nucleus is the center of your Roon music system. It’s the housekeeper, the traﬃc cop, and the brain that takes care of the music in your life. Using Nucleus, Roon manages all your music – on hard drives, NAS, and streaming content – and allows you to play it on all the audio devices around your home. Nucleus is the best way to run Roon, at any price. Just plug Nucleus into your network, connect your hard drives, download Roon remote apps (iOS, Android, macOS, Windows) and you’ll be ready to play music using a wide variety of audio devices, including AirPlay®, Sonos®, Roon Ready™, Devialet, KEF, Meridian, Squeezebox, and a huge variety of USB DACs. Aside from being a powerful, fanless music server, what sets Nucleus apart is that it’s powered by Roon OS – a fast and lightweight operating system optimized to do just one thing: browse and play music. Roon is a multi-room, multi-user networked audio platform built to the exacting standards of audiophiles, so it oﬀers features like bit-perfect playback, DSD and PCM upsampling, multichannel playback, and signal path display. STAND: 107 DrayTek is a leading manufacturer of 'business class' broadband and networking solutions that help consumers and businesses save money and improve efficiency by exploiting the full potential of the internet. The product range includes routers, firewalls, PBXs, switches and wireless access points. For the AV installer market Draytek has a specialist video switch designed for distributing IP video feeds from multiple sources (e.g. set-top boxes, DVD players etc) over to multiple outputs (TVs monitors or projectors). Each of the ports can be set up as a source (input) or output and any output (screen) can then receive the video from any input. STAND: 98 D-Tools is a worldwide leader in accessible, highly accurate business software that caters to the unique and diverse needs of systems design and installation firms. The company’s on-premises software, System Integrator™ (SI), and new cloudbased platform, D-Tools Cloud, are robust solutions that help manage all aspects of an integrator’s business, including sales, comprehensive system design, project documentation, procurement, and project management. Today, more than 6,000 companies in over 80 countries use D-Tools’ award-winning software to streamline business processes, leading to improved operational efficiencies and increased profitability. STAND: 97 Since 1989, ELAN has been dedicated to simplifying and enhancing the connected home. Its award-winning smart home entertainment and control system seamlessly combines music, TV, climate, lighting and other home systems with an easy-to-use interface that puts you in control, from anywhere in the home or anywhere in the world. STAND: 91 Formed in 2001, Element One is a family-owned company run from a purpose-built design and manufacturing facility in Kuppenheim near Baden-Baden, Germany. Its simple ethos is to combine the highest quality materials available, with the most sleek and ergonomic designs to create the best motorised screens money can buy. Its uses include conference and training rooms, reception, presentation areas, sales and consulting spaces, concierge desks and point of sale. As well as Element One products being ascetically pleasing and user friendly, the company's uncompromising design philosophy incorporates the need for all products to have a low overall power consumption and be free from pollutants. Element One has recently opened its first office in London. STAND: 36 Faradite is a UK-based smart home accessories manufacturer that focuses on developing discrete and contemporary accessory solutions for custom-built smart homes. Its range of low voltage, volt free, silent motion sensors for Control4, Lutron, Loxone and Crestron is on show, including the new 100% black sensor for cinema rooms. Faradite will be showing visitors how to install fire-rated motion sensors, which are perfect for MDU projects. The range of capacitive switch plates are on display, which are currently only compatible with Loxone, but go and talk with Faradite to hear about its product roadmap. STAND: 64 FS Cables is a leading supplier of high-quality electrical cable in the UK. As a CEDIA trade supplier, FSC developed the popular Tru range of cables - designed specifically for the custom install and home automation industry. Cables cover most popular applications for integrating electronic systems, from AV, entertainment, building control to lighting and security solutions. With over 600 cables independently tested in the UK for CPR compliance and in excess of 3,500 cables in stock, ready for next working-day delivery and a cut-to-length service, FSC is the choice for your custom installs. STAND: 67 Gallo Acoustics' beautifully-designed spherical loudspeakers have long been a firm favourite with integrators, interior designers and architects. On stand 67 it will be presenting our complete product range, including the classic 4in Micro, 5in A’Diva, Droplet pendant speaker and reference-standard Strada 2 AV loudspeaker. The company's standard 11 colour range will be represented as well as examples from its SPECTRUM bespoke colour service - colour matched speakers from sources such as Pantone, RAL and Farrow & Ball, to name but a few. Additionally, being previewed will be IP66-rated outdoor range and decor-friendly wallmounted subwoofer. STAND: 48 Reflecting this year’s broader show billing, Habitech’s award-winning resi portfolio shares the stage with a growing commercial AV product range, together with brilliantly flexible crossover platforms such as Legrand’s MyHOME_Up automation and Lutron’s smart ‘RA2 Select’ lighting and blind control. Making its debut for resi is the new Sonance ‘Garden Series’ outdoor speaker line alongside Aquavision’s ‘Horizon’ outdoor TVs. The Commercial AV product line-up includes the Sonance Pro Series of in-ceiling, pendant and all-weather on-wall speakers; Yamaha Pro’s configurable multi-zone power amplifiers and processors; Wyrestorm’s full-fat 4K-ready ‘Network HD’ AV-over-IP platform; Ruckus switches and APs, and iPort’s ‘Surface-Mount’ platform of iPad wall-mounts. Also on display will be a selection of complementary designed general wiring accessories – for that totally coordinated look! Alongside its Smart Control solutions, Hamilton will also give EI Live! visitors a first glance at its new wireless control products. STAND: 136 Henley Audio will be showcasing the benefits of hi-fi equipment in a CI project during EI Live! 2019. Focusing on its brands, Klipsch and Pro-Ject, it will show how in-room speakers and 'hi-fi centrepieces', like turntables, can elevate a client’s experience. The company will also be demonstrating Roon throughout the weekend, the new go-to software for premium multi-room audio. Roon will be exhibited using the company’s dedicated Nucleus+ server, for unparalleled performance; distributed exclusively in the UK by Henley Audio. STAND: 90 Now in its 16th year, HiddenWires continues to provide in-depth analysis on the EMEA home automation and custom install market via its industry-leading website, weekly newsletter and from this year, quarterly printed issues. As the go-to publication for custom integrators, we constantly ensure that we keep up to date with the growing automation and custom install sector to provide the latest news and updates. Reaching 14,000 industry professionals, the team continues to report on mature and emerging markets. HiddenWires focuses on high-quality, original content including tech features, exclusive case studies, and breaking industry news. AWE VILLAGE Leading residential technology distributor AWE is delivering the first IMAX Enhanced demo at an EU exhibition. Visitors to EI Live! have a not-to-be-missed opportunity to experience how IMAX Enhanced can bring the world’s most immersive entertainment into a home environment. IMAX Enhanced, a partnership between IMAX Corporation and audio leader DTS, combines the highest-end consumer electronics products with IMAX digitally re-mastered 4K HDR content and DTS audio technologies, to offer consumers a new level of quality in immersive sight and sound experiences for the home. From its bespoke system design mobile app, the easy-install pre-programming and on-call-for-install services, Indigo prides itself on putting customers first. Additionally, it also offers a trade-only loyalty program with cash back rewards and dedicated account managers. STAND: 102 Inside CI is the UK's leading website dedicated to custom installation, electronic system design and related technologies. With daily news, product reviews and features covering every aspect of the custom install business, from AV and automation, to lighting and case studies, Inside CI is the essential go-to resource for installers, designers, distributors and dealers. 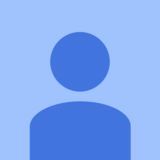 With deep access to the biggest names in technology, the site combines editorial integrity with a mandate to support and inform the wider CI community. To that end, Inside CI regularly features expert contributions from the worlds of programming, system control and lighting design. STAND: 101 & 108 Founded in 2002, Invision is Europe’s fastest-growing, value-added distributor of professional technology solutions, supplying custom installers across the UK, Ireland and Benelux. It stocks so you don’t have to! Offering same-day shipment to all UK and European destinations, Invision is dedicated to providing its trade customers with immediate 'onestop' access to cutting-edge products and intelligent solutions for homes, hotels and businesses. With an exceptional portfolio of products from some of the best brands in the industry, the Invision business now spans across multiple market sectors including home cinema, residential/commercial AV, security, hospitality and more. STAND: 37 Yorkshire’s finest Karma-AV is at EI Live! with a signature mix of high performance AV and custom esoterica. Leading the showcase is Emotiva’s sensational RMC-1 processor, likely to be the world’s first 16-channel capable design, promising 16 fully balanced outputs, enhanced DSD, Dolby Atmos, DTS:X, HDMI 2.0b, and 4K UHD video with High Dynamic Range (HDR10). In support are Emotiva’s powerful but diminutive new PA1 Class D IU monoblock power amp, running cool at 140 watts RMS 8 ohms; JBL’s classic 4306 2-way 8-inch monitor oozing retro chic; Goldenear’s award-winning high-end Single Point Stereo (SPS) in-wall/ceiling speakers and the latest models from Ultimate Screens. STAND: 82 Kordz is a long-standing innovator and manufacturer of HDMI and other audio-visual cables. Kordz’ extensive experience in design, engineering and manufacturing is the foundation to building products with its long-established principles. These principles of design and engineering are to create products that are robust, offer high quality sound and picture, high-bandwidth, tight bend radius, shallow mounting depth and reliability. Kordz utilises research and development facilities in both Australia and Taiwan, plus the dedication and experience of its people, to engineer and build robust and quality connectivity solutions. STAND: 85 Lektropacks is a multi-brand distributor of AV products dedicated to the custom installation market. Founded in West London in 1976, with nothing more than a passion for AV and a focus on providing creative and innovative AV solutions for our trade customers, we have grown exponentially, supplying to the trade whilst still offering the same dedication, coupled with the highest standard of sales and technical support. Our range includes AV signal distribution, multi-channel amplification/processing, speaker systems, cabling, digital signage and control. Brands within our product portfolio include CYP, Yamaha, Current Audio, Polk Audio,RCF, BrightSign and B-Tech. STAND: 105 Lithe Audio Wi-Fi speakers are ideal for retrofit or new-build projects. Until now it hasn’t been easy to retrofit ceiling speakers without connecting to a separate amplifier or running cables through walls. But Lithe Audio has created a fully-integrated design that is completely different from anything else currently available in this sector. The speakers are powered via the existing lighting circuit – so there’s no need for speaker cables or servers. They deliver full multi-room for up to 30 zones for a full high quality whole home audio solution. STAND: 41 At this year’s EI Live!, Meridian Audio will be showing how its products, combined with solutions from its ‘Distributed By Meridian’ brands, can deliver experiences that go beyond the ordinary. On stand 41, visitors will be able to find out about Meridian, Barco Residential, Display Technologies, and Cinema Acoustic Treatment Systems products, while also gaining an understanding of how Meridian can support integrators through its Design and Specification Service. Hot off the heels of the ISE launch, Meridian will be showing its new in-wall loudspeakers, the DSP640.2 and DSP520.2, as well as the ever-growing 200 Series. STAND: 83 Monitor Audio is showcasing a selection of exciting custom installation products. The striking Vecta range of architectural speakers can be installed in commercial and residential environments and are designed for use both inside and outdoors with operating temperature ranging between -25°C to 65°C. Its newest addition of V-CLUSTER bracket allows four V240-LV to be slotted on to form a sphere providing near-perfect 360-degree sonic coverage in the horizontal plane. Monitor Audio is also displaying the CI amplifiers. They are built to do more whilst using less space, and feature cutting-edge technology for the best sound performance in any installation project. STAND: 8 PCI Express is a trade supplier of video over IP products and have the UK distribution rights to the TBS range of video over IP products. PCI Express has grown rapidly over the past three years to become the largest TBS partner in the world, supplying both large enterprise and SMEs in the video over IP market. PCI Express' new range of EasyStream TV Gateways allow for the distribution of DVB signals over an IP network, ideal for hotel TV systems and digital signage. The EasyStream solution now integrates directly with Signagelive. STAND: 132 Penn Elcom is a global manufacturer of flight case and cabinet hardware, as well as 19in racking systems, with extensive facilities in the UK and China. Its wholly-owned distribution network has 18 depots over six continents. With over 40 years’ experience, it is a trusted name for casebuilders and audiovisual installers and has developed an industry-leading range of products, like its classic MOL latches, handles and corners. Penn Elcom's UK-made speaker grilles can be found on all leading brand speakers around the world and its hand-built racks, drawers, shelves and accessories are preassembled and delivered globally. STAND: 61 PictureFrame.TV has led the hidden TV marketplace in the UK since its arrival in 2011. Its MirrorTV products are the more popular models that it sells. They’re a great solution to blend into a room design, available in a range of standard sizes, as well as through PictureFrame.TV's bespoke service. As well as the standard MirrorTV, the company offers a range of solutions such as glass TV walls, ArtTV roller mechanisms, bathroom TVs, and a range of extras including halo lighting amongst others. We can also work with an interior designer on the job to help create the perfect vision. STAND: 30 Pulse Cinemas is showcasing a range of key products from Pulse-Eight, IsoTek. BenQ, Lutron, Crestron, Storm Audio, Paradigm, Anthem and Vicoustic. At the stand you will also be able to discuss the benefits of being a Pulse account, with access to all of the new website and facility updates. STAND: 9 At EI Live! 2019, Pulse Cinemas will be demonstrating how high performance cinema can be delivered at an affordable price. The new Defiance range of subwoofers from Paradigm will be adding weight behind Paradigm’s Pro range of speakers arrayed in a 7.2.4 Dolby Atmos configuration. Sim2’s Domino 4K HDR projector and a Screen Research acoustically transparent woven screen will be presenting the visuals, while power and processing is taken care of by Audio Control. This will all be enhanced by acoustic treatment from Vicoustic and the comfort of Fortress Seating. STAND: 116 Pulse-Eight is a multi-award-winning developer of video/audio control and distribution systems suitable for both residential and commercial applications. Based in Poole in Dorset, Pulse-Eight has designed and manufactured their own systems since 2010. Specialising in HDBaseT video matrixes under the brand ‘neo by Pulse-Eight’, the full product portfolio features extensive HDMI and audio products, including a full range of HDMI extenders, HDMI splitters and audio manipulation accessories. Pulse-Eight prides itself on developing state-of-the-art hardware and software, manufacturing them here in Britain! STAND: 150 RTI delivers advanced control and automation systems for residential and commercial applications. Its award-winning wired, wireless and app-based solutions provide users with complete control over their entertainment, distributed A/V, lighting, climate, and security. For integrators, the systems are backed by RTI´s world-renowned Integration Designer programming software that offers completely customised control and powerful third-party integration. Rako is excited to showcase new products at EI Live! One of several new developments is Rako’s Hub – building on the feature set of existing Rako ethernet bridges and Cloud Gateway, the Hub moves smart home integration to the next level with new design features and additional functions and enhancements over the last generation. New keypad ranges will also launch this year – an elegant metallic range of keypads designed around an all metal, screwless, flush facia design and a modular keypad with a sleek, flush button design. Providing specifiers and end clients with a clean uncluttered look for their projects. Redline will finally be showing a full production model of the Artison Backpack P5. (The world’s smallest AV Amplifier). This game changing product will allow installers to design very compact 3.1/5.1 locally based systems that can make use of rapidly increasing TV Apps, in addition to the current range of compact streaming sources, such as Apple TV. It will also be featuring the outstanding Amina Edge range and a new simplified design and installation system. This will cement Amina's place as the global leader in Invisible Speaker technology. The full range of Viveroo’s stylish and unique iPad docks will also be on show. STAND: 106 The Retrotouch smart Wi-Fi touch switches boast an LED backlight halo for a sophisticated lighting solution. These sleek switches can be controlled wirelessly via an App or voice control via Alexa or Google Assistant, and are the perfect choice to bring home automation and a touch of class to your home or business. A cool white or black glass finish provides an elegant look for any modern interior. With no hub required, these Wi-Fi light switches deliver seamless lighting control. With match sockets and accessories installers can offer a seamless smart lighting solution. A highly knowledgeable and experienced team will be on hand to answer any questions, concerns or help to find the right solution in; home automation, control, lighting, connectivity, networking, power and sound. RGB is a technical, audiovisual (AV) distributor, representing a select group of wellknown manufacturers, many exclusively. It distributes our products to AV dealers/ installers, rental & staging companies and residential custom installers throughout the UK, Eire and Europe, and has done so since 1991. RGB's racks and power range includes Middle Atlantic, the rack of choice for Home Automation and AV Dealers; Lande Racks, its new supplier that provides a range of great value rack options; Surgex with its advanced power protection; and Pakedge with a range of surge protected and power management solutions. STAND: 121 SANUS, an AV brand of Legrand, designs and builds fine AV mounts, furniture, stands and accessories. Every SANUS product is engineered to enhance AV systems and the surrounding décor. Today SANUS offers more than 300 home theatre units, TV and audio stands, mounts, speaker supports, AV equipment racks and accessories. SANUS products are available at thousands of retail locations worldwide and can be seen at the company’s website: www.sanus.com. STAND: 11 Savant is a luxury home automation system. As well as the established control solution, and unique user interface, Savant will be displaying AVoIP switching and the latest advancement in multiple image tiling. If that’s not enough to get you excited then come and take a look at the company's new IP Audio products, including the new Micro Aperture speakers with an internal amplifier and POE. Artison by Savant will be on show, with the smallest surround sound receiver on the market the Nano Backpack. Also, on display will be its fabulous 55in passive soundbar. STAND: 66 Sensible Heat is a HVAC controls specialist; it distributes equipment from Honeywell, North and other suppliers, and together with its own products (including custom control panels), offers a turnkey design/supply/commissioning service nationwide, which can be offered on a resale basis by Custom Installers. It has developed a comprehensive range of third-party 'drivers' including Control4, Savant, Crestron, RTI etc., making integration of our HVAC controls very simple. STAND: 1 Launching officially at EI Live!, Sinemas’, Virtual Showroom uses VR to show potential customers a selection of different cinema rooms. Sinemas’ VR goes a step further than others as it allows you to see what the VR headset is looking at on a linked screen. As anyone who has used VR with clients will know, once the client puts the headset on, the conversation stops as you are unable to see what the client is seeing, but with Sinemas linked screen technology the integrator can comment on what the client is seeing, just like you would in a real showroom. So, whether you need Monitor Audio in Maldon, Blustream in Brentwood or Onkyo in Onger, you can rely on Smart AV Distribution to get it there fast. STAND: 47 Fibre optics firm Starscape Star Ceilings Ltd will be making its seventh appearance at an EI Live! show, with the focus once again on its very popular Infinity home cinema star ceiling panels. At the heart of the Infinity system is a lightweight panel of 1000 x 1000 x 10mm which has 100 optical fibre “stars” already fitted. It is faced in an intensely black Melton fabric, and with four different fibre diameters there is a real sense of depth to the 'sky' above – hence the name Infinity. STAND: 4 SVI is the UK’s most well-established trade magazine serving the audiovisual and custom installation industries. Packed with the latest product news, market analysis, case studies and expert comment. Visit its stand for a free copy and free subscription. STAND: 139 SY Electronics has steadily built a reputation for delivering flexible yet affordable AV solutions, with an emphasis on simplifying the installation experience. Established since 1983 with headquarters in Salford, UK, its philosophy of creating functional and reliable tools appeals to system integrators within the residential, commercial, education, healthcare and corporate AV sectors. At EI Live! 2019, SY Electronics will be showcasing its new AV over IP solution, 4K Seamless Matrix and 18G Presentation Switcher, alongside optical cables and fibre extenders, ideally suited for the residential and SME markets. STAND: 63 Tenways - CoolAutomation UK offers simple and easy solutions for integration of air conditioning systems and underfloor heating with home automation & BMS systems. With drivers for its products available from many home automation manufacturers including Control4, Crestron, Lutron, RTI, Savant, Vantage, HDL, Philips Dynalite and many more, integration of HVAC has never been easier. The company looks forward to meeting you at its stand and will be happy to discuss HVAC Integration for your projects. STAND: 2 Visualization is a ‘white label’ AV services partner, allowing you the opportunity to offer services that will enhance your business. The company is aware that everyone’s needs are different. Along with its flexible approach, it has created a comprehensive range of services, enabling it to meet the understandably varied expectations and requirements of the ever-changing integration market. Services include audio visual rack build and consultancy, installation services, custom cable assembly, panel wiring and assembly, programming and program uploads, as well as rack and associated product supply. Visualization operates in the residential, commercial, education, broadcast, marine and entertainment and leisure sectors. Parking at Farnborough International Exhibition & Conference Centre is free and we have space for up to 3,500 cars. For Sat Nav directions please use the postcode GU14 6AZ. Farnborough Main is served by South West Trains and sits on a mainline to London Waterloo. Farnborough Main station is 1.5 miles from the venue and just 5 minutes by taxi. Farnborough North and North Camp are served by First Great Western and located within a 10-minute taxi ride from the venue. Aldershot is served by South West Trains and offers direct services to London Waterloo and Guildford. The station is a ten-minute taxi ride from the venue. The 2019 Show Guide for EI Live!